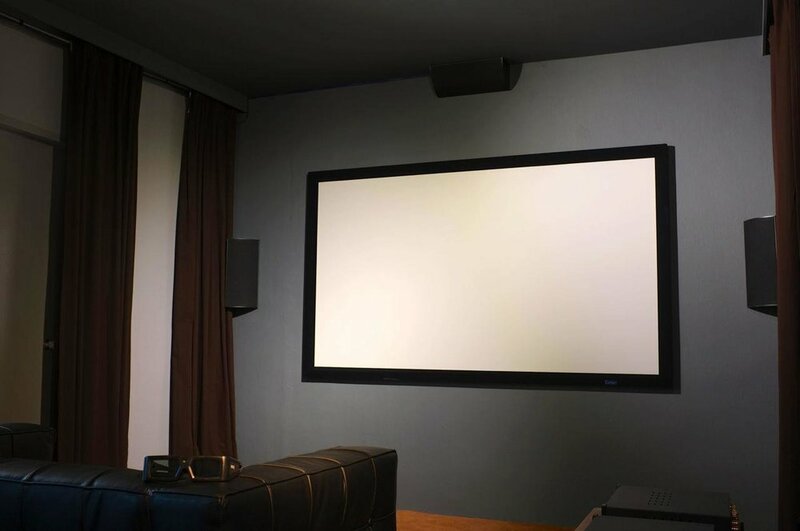 “The setup: BenQ W7000+ FullHD 3D DLP Projector, Stewart fixed screen, Cornered Audio wall-mounted loudspeakers powered by a Wyred4Sound multi-channel amplifier. As well Tellurium Q Blue speaker cables and interconnects, Gigawatt power conditioner and power cables”. 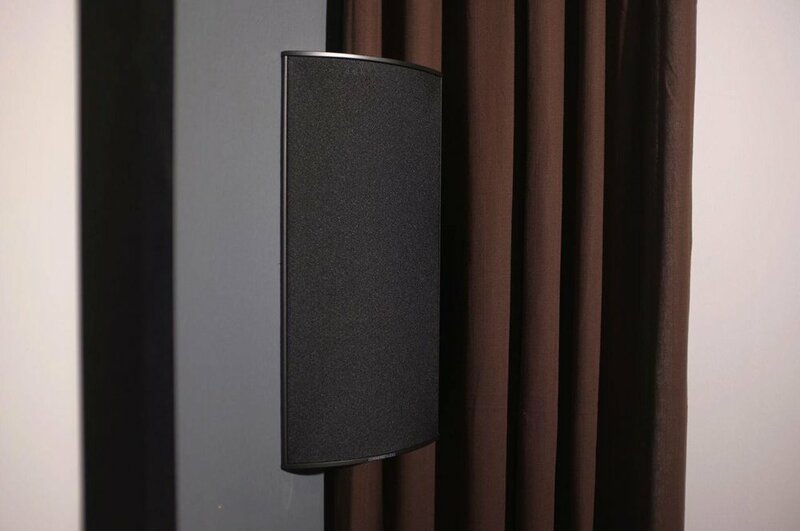 “The Cornered Audio C5: Chassis made of solid aluminium. 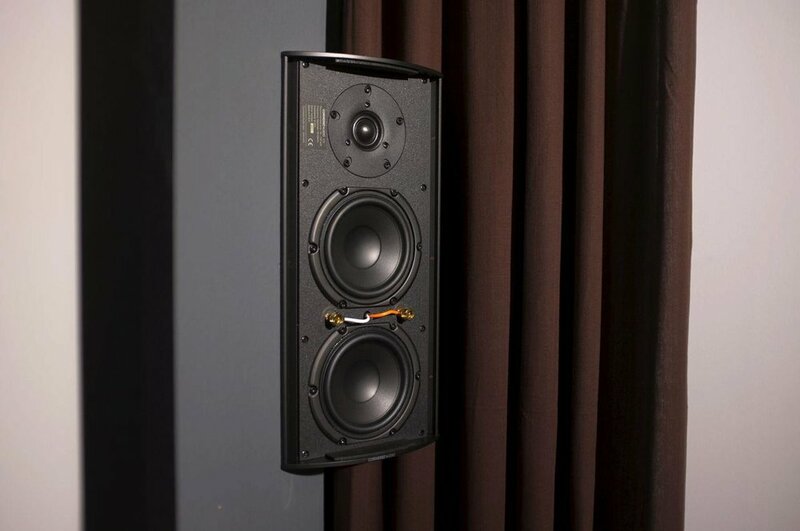 Note there is no mounting bracket necessary - the speaker is mounted directly onto the wall, so there is nothing that is prone to vibration distorting the sound. As well no visible screws at all”. 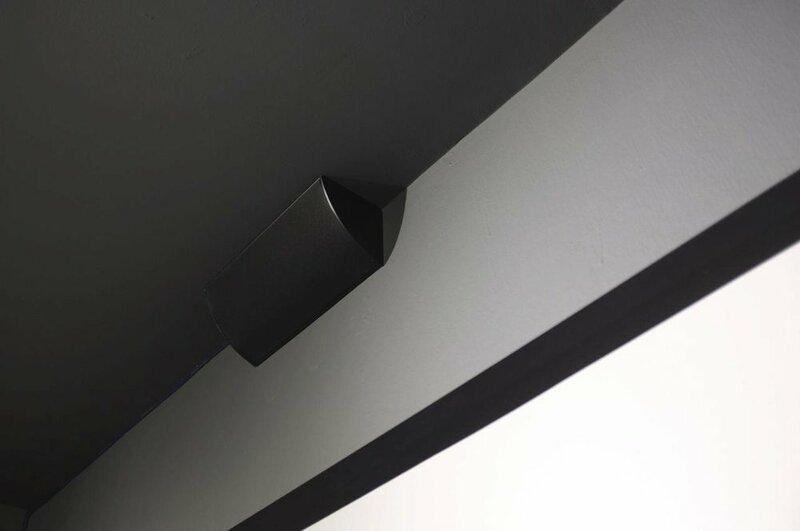 A closer look at the Cornered Audio center speaker, here mounted above the screen” Thanks to Raindrop Audio for this description.